I have a skull in my office. And people occasionally ask me why. It strikes some people as an odd sort of thing to have around. 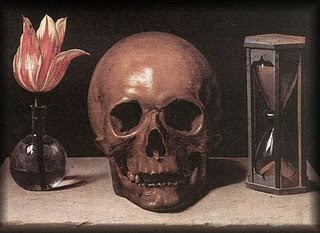 As I've written about this before, I keep a skull in my office as a memento mori. even those who seem secure. without knowing whose it will finally be." I keep a skull around to remind me of texts like these. 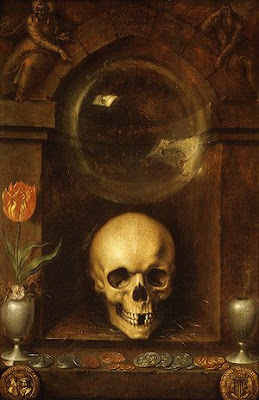 The skull is a memento mori. 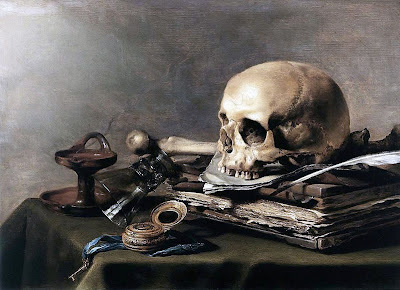 In the middle of a work day I look at the skull and think: Remember the truth about all this stuff around you, all this stuff that is stressing you and everyone else out--all this striving, pushing, competing, assessing, goal-setting, excelling, climbing, and performing. It's all just mist, a breath. Chasing the wind. Vanity of vanities.